At Prodrive we like to challenge convention; we know what it takes to win. Prodrive is well known for our motorsport business with a pedigree of world championship winning teams, but for over the last decade Prodrive has developed into a prosperous technology and innovation consultancy, as well as designing and manufacturing outstanding lightweight composites. We continue to thrive because of our people! 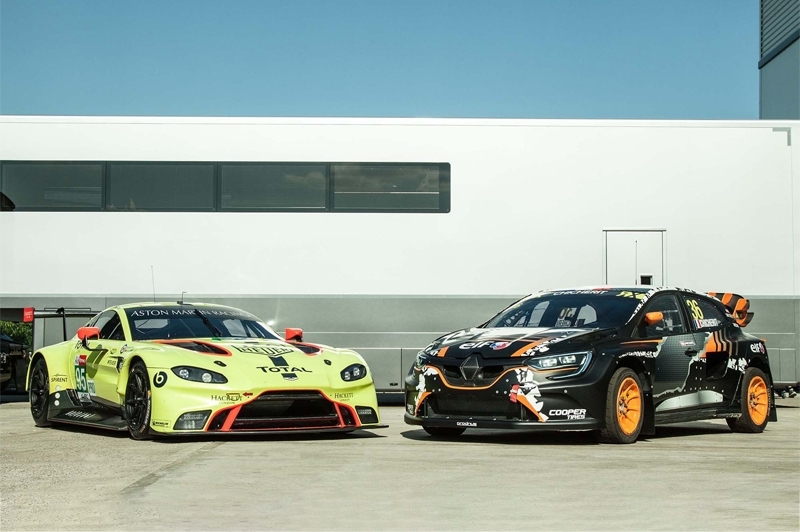 For the last 15 years we have been the team behind the Aston Martin Racing programme in the FIA World Endurance Championship and at Le Mans. We have skilled Technicians, Mechanics, Fabricators and Engineers working together every step of the way so we can build and run these elite Race Cars. We are looking for an Expeditor to join our Purchasing team in Banbury. We need someone to assist with tracking and chasing parts from several suppliers and, where appropriate, collecting these parts. Our ideal candidate will have experience within a similar role, will be highly computer literate on all Microsoft packages, being able to complete Vlookups, Conditional Formatting, Sumif/Countif and manipulating data. In addition to this, we need someone with an excellent telephone manner whilst dealing with supplier and customers, as well as comfortable conducting face to face meetings. The world of Motorsport is ever changing so we need someone who is flexible, reliable, hardworking and has a real passion for what they do! A modern, spacious working environment with ample free onsite parking, a competitive salaries as well as a tailored range of benefits, which include: life assuance, free fitness assessments and advice from our ‘Fit 4 Life team’, a subsidised canteen, onsite exercise classes, opportunity to join a group personal pension, 25 days holiday (this is increased at certain service points), with an opportunity to purchase extra, childcare vouchers and company discounts e.g. motorsport merchandise… and much more! By sharing your data with us, your information can be accessed by Prodrive. Prodrive will use your personal information you have provided to contact you throughout the recruitment process, give you an update on your application and consider you for alternative roles that may be suitable. Prodrive will not pass your information onto any third parties without your consent and will use your information internally for recruitment purposes only. We will keep your information for 12 months and thereafter your personal information will be removed from our database. If you would like Prodrive to remove your personal information before the specified time, please contact HR@prodrive.com. Can’t find the job you’re looking for? Send us your details.